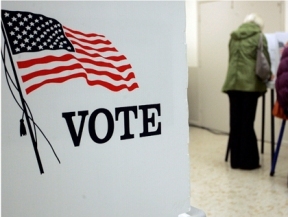 At the March 18, 2014 Primary Election, voters will nominate candidates to a wide range of federal, state and local offices. Voters in all 50 wards will nominate candidates for: U.S. Senate; U.S. Representative in each district; Governor and other statewide offices; State Representatives in each district; Cook County Board Commissioners in each district; Appellate, Circuit and Subcircuit Judges; and other state and local offices in the Republican and Democratic parties. Polls will be open on March 18 from 6 a.m. to 7 p.m.
To ensure an election free of trouble or fraud, the Chicago Election Board will have more than 200 investigators assigned to Election Day duty. Roving investigators will make unannounced inspections of polling places in all wards, and other investigators will be assigned to respond to calls for assistance. Voters who witness anything irregular or encounter a problem on Election Day are urged to call the Board’s “Election Central” hotline at (312) 269-7870. These telephone lines will be staffed by Board personnel and attorneys versed in election law. New with this election, the Chicago Election Board will be introducing Electronic Poll Books to check-in voters on Election Day at all 2,069 precincts in the city. The Electronic Poll Books will replace the paper poll books and provide Election Judges in each precinct with updated records from Early Voting, Absentee Voting and last-minute voter registrations. •	And the voter’s Early Voting/Absentee Voting status. For more information before Election Day, voters may visit the web site or call (312) 269-7900.